Noah Dillon and Luka Sabbat’s Hot Mess has linked up with Maison Margiela for a new shoot. When Margiela contacted the duo about collaboration, Sabbat says they “instantly accepted”, unsurprisingly. “They are one of our favorite houses, having melted the line between art and fashion for decades,” he adds. From two-toed Tabi boots to putting masked models on the catwalk, Maison Margiela has consistently revolutionised fashion, with recent shows by creative director John Galliano pushing limits when it comes to gender. Hot Mess, on the other hand, is a team made up of model, actor (Grown-ish) and creative it-boy Sabbat and photographer Dillon, who describe their collaborative project as a “creative platform to produce anything we think is cool”. Hot Mess began, like many great things, over Twitter DMs. 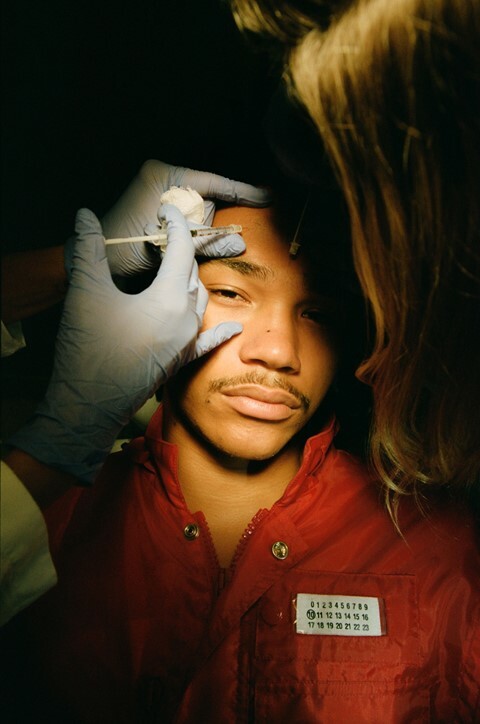 It was back in 2016, when Sabbat (who had already walked for Kanye West’s Yeezy) contacted Dillon, a then-emerging photographer he had seen on Instagram. Those DMs then took them all over the world, including to a multimedia takeover at New York City’s Milk Studios in 2017. They have since launched clothing collections, art shows, and books. In other words, they’re keeping busy. See the full shoot in the gallery above.